The Charity Commission has told UK Lawyers for Israel that it may need to re-engage with Medical Aid for Palestinians (MAP) if it receives further complaints. This follows a complaint against MAP filed by UK Lawyers for Israel and the Lawfare Project in June 2018. 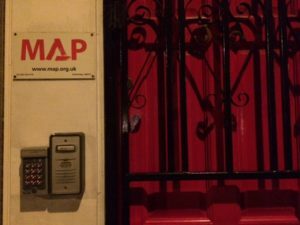 The complaint outlined ways in which some of MAP’s annual income of £5.4 million may have been spent for political propaganda rather than for its stated purpose of providing medical aid. The Charity Commission concluded its assessment of the complaint in November 2018, although it failed to inform UKLFI and The Lawfare Project at the time. The Charity Commission subsequently wrote to UKLFI and The Lawfare Project with a summary of its assessment of the complaint.